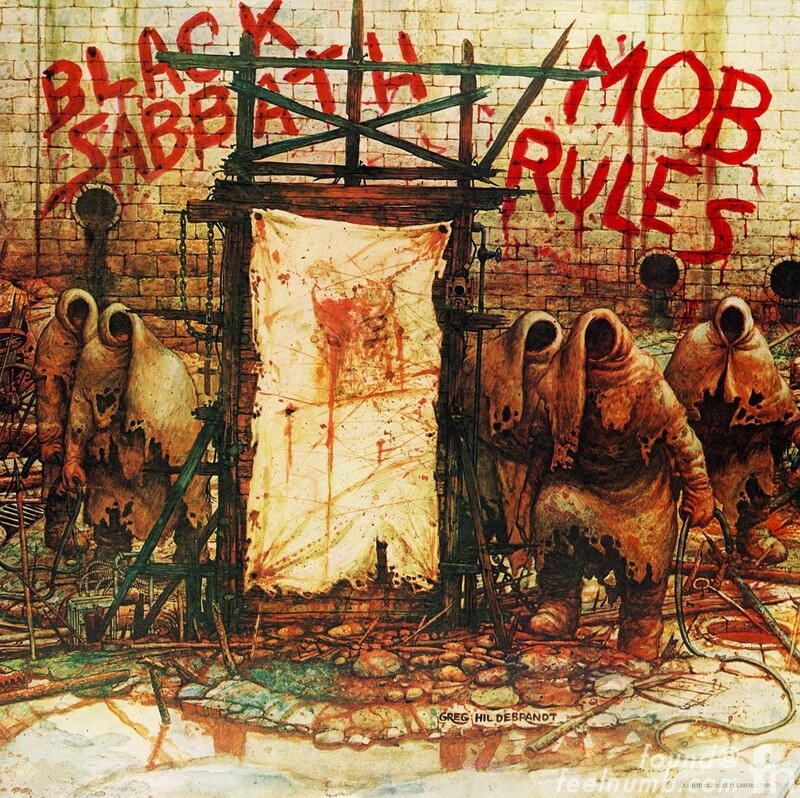 The cover art is a modified version of artist Greg Hildebrandt’s piece entitled Dream 1: Crucifiers from 1971, with Black Sabbath licensing its use for the cover of Mob Rules. 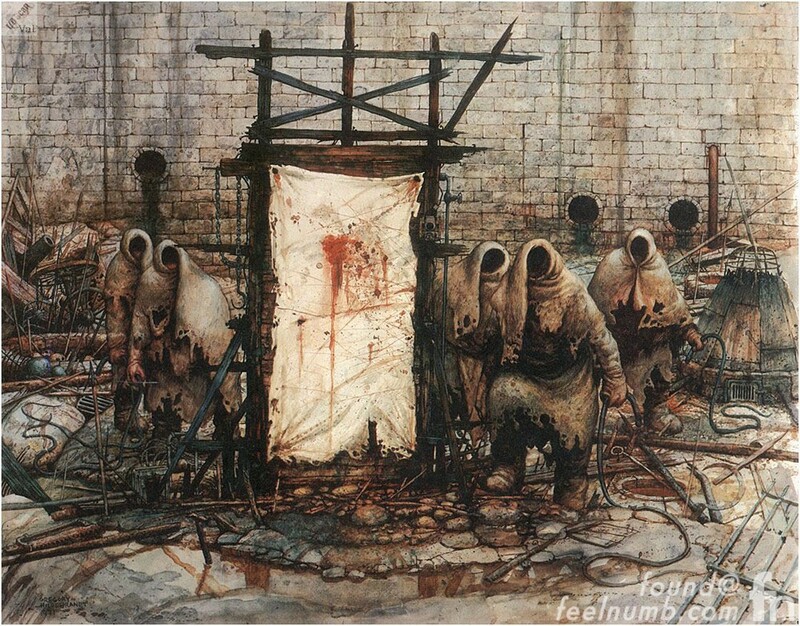 Here is Hildendrandt’s original artwork. Some fans claim the name “Ozzy” or even “Kill Ozzy” was spelled out hidden on the bottom right of the album cover. Here is the section in question. Looking close, this is how I see it. It was probably just a coincidence since the painting was made before is was licensed by the band even though I do see some slight changes. Record albums used to have all kinds of hidden messages and photos. 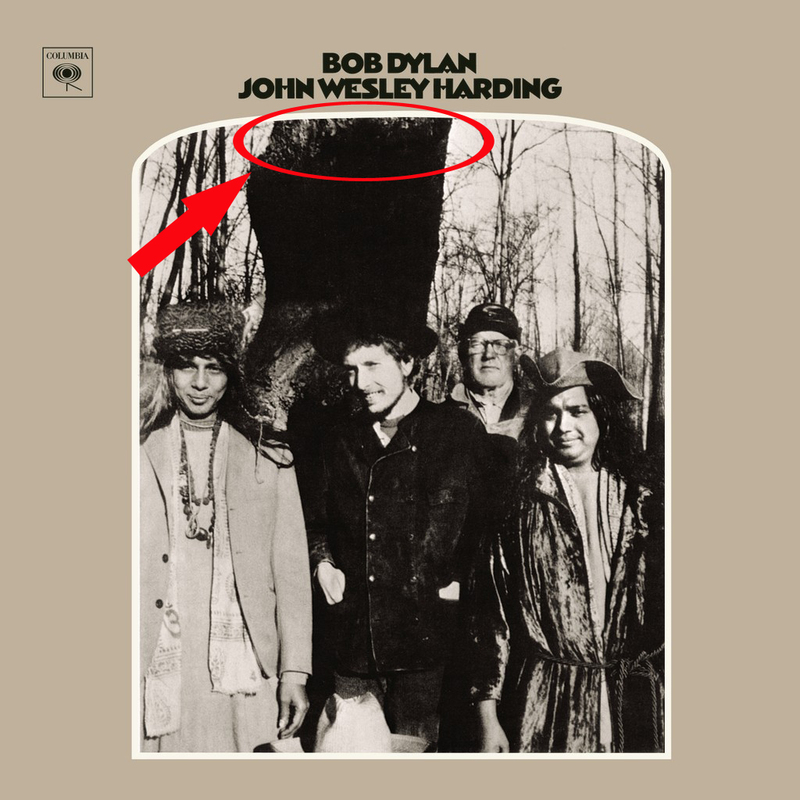 People claimed to see The Beatles images in a tree on a Bob Dylan album cover. Click on photo to read about it.